"Personified Preaching: Black Feminist Sermonic Practice in Literature and Music"
Melanie R. Hill completed her Ph.D. in English Literature at the University of Pennsylvania in May 2018 with graduate certificates in Africana Studies and Gender, Women, and Sexuality Studies. Her dissertation, Personified Preaching: Black Feminist Sermonic Practice in Literature and Music is an interdisciplinary analysis of the presence of black women preachers in twentieth and twenty-first century African-American literature, music, and religion. Focusing on the term she coins as "Black Feminist Sermonic Practice", Melanie closely examines through sermon and song black women preachers, along with African-American writers and musicians, in all three realms of discursive practice. 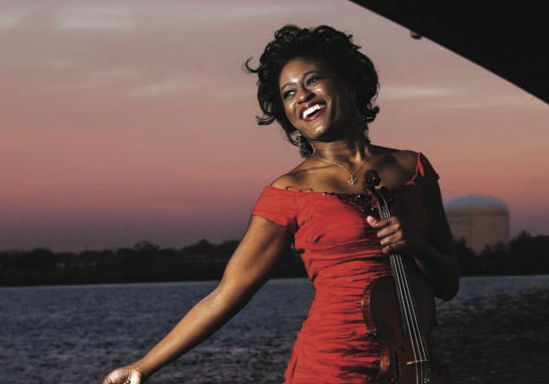 In addition to her scholarship, Melanie is a Gospel Violinist who has performed at the Apollo Theater, the White House, and for Pope Francis's Papal Mass. Melanie's research interests include twentieth-century American literature, African-American and Ethnic American literatures, African-American Studies, Sound Studies, Women, Gender, and Sexuality Studies, Poetry and Poetics, and Music. Melanie R. Hill's Dissertation Defense--"Personified Preaching: Black Feminist Sermonic Practice in Literature and Music."